A pilot study to determine reduction in lichen - a primary reindeer food source - biomass due to reindeer trampling. Norway – the last country in Europe with remnants of wild reindeer – has made an international commitment to preserve European wild reindeer habitats as well as the wide range of ecological and cultural processes associated with the species. Several broad initiatives to understand and safeguard wild reindeer habitats have been undertaken in the last years. Wild reindeers typically live in mountains – a harsh ecological environment, especially during winters when reindeer are dependent on lichen pastures as primary food resource. Therefore preservation and maintenance of winter lichen pastures is one of the most important aspects of sustainable wild reindeer habitat management. Paradoxically, as available ranging area for the reindeer decreases due to both climate change and industrialization, large amounts of lichen pastures are destroyed by being trampled by no other than reindeers themselves. This pilot study attempted to quantify the lichen biomass reduction after being trampled by reindeer with regard to a number of factors. Data acquired in this project can be used to model scenarios and predict lichen pasture damage depending on where and how reindeer are wandering due to wind directions and available food resources. These models are especially useful when evaluating effects of different climate scenarios on wild reindeer habitats. 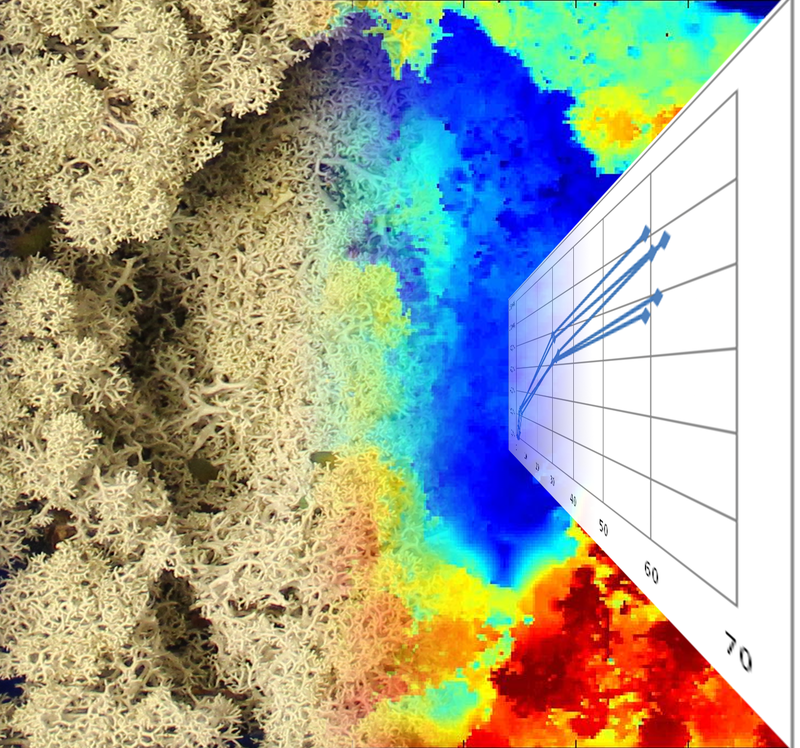 A sample of lichen with reindeer hoofprint and the corresponding LiDAR image. The project was carried through in laboratory conditions. A larger-scale field trial project to validate the developed algorithms and models is being considered.